Download end-of-day quotes from more than 50 exchanges. Is there a better alternative to miQuotes? Is miQuotes really the best app in Finance category? Will miQuotes work good on macOS 10.13.4? miQuotes, the first product in a quite of investment tools and utilities from miStocks, allows quick and easy downloading of EOD (end-of-day) stock quotes from over 50 exchanges world wide. 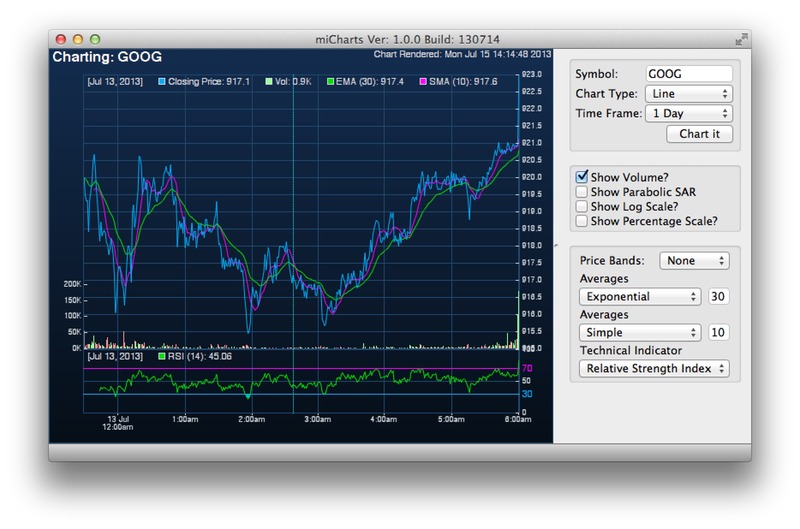 Use the data for charting or analysis in most popular charting applications or even in your own custom application. Create multiple symbol lists each with their own set of configuration for quick, hassle-free downloading of the latest stock prices. The application is multi-threaded to allow for quicker downloads and a more responsive user experience. miQuotes needs a rating. Be the first to rate this app and get the discussion started!